What is involved with Gem Grading? 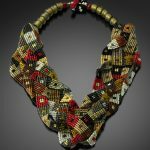 Generally speaking, highest values go to stones with pure hues and strong rich colors. With high value gems, subtle variations make a significant difference in price. 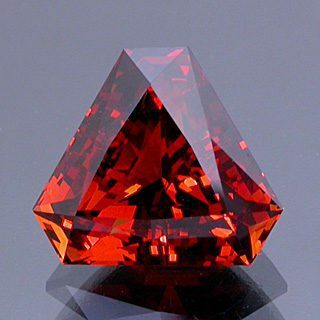 For example, a slightly orangish ruby will not be worth nearly as much as one that is pure red. Most people cannot see the difference, but to the expert grader it is significant. 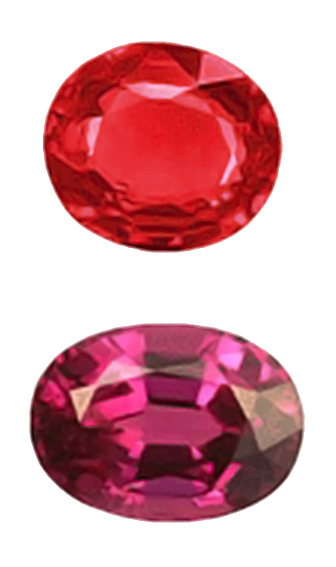 On moderate priced gems, color has less affect on value. 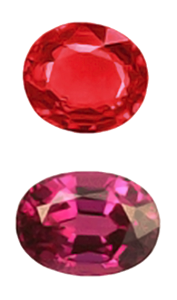 For example, tourmaline comes in every possible color. 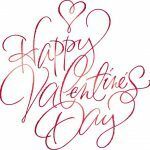 Unless it is an exceptionally pure green, red or pink, they are all about the same value. It is the other factors of size, clarity and cutting that determine the gem’s value. Diamonds are graded on how close they are to being colorless. There are three grades of “colorless” that only vary by subtle differences in transparency. Then there are four grades of “white.” These are gems that will appear colorless when set in jewelry. It takes an expert in a laboratory setting to distinguish between these grades, but each represents a change in value. 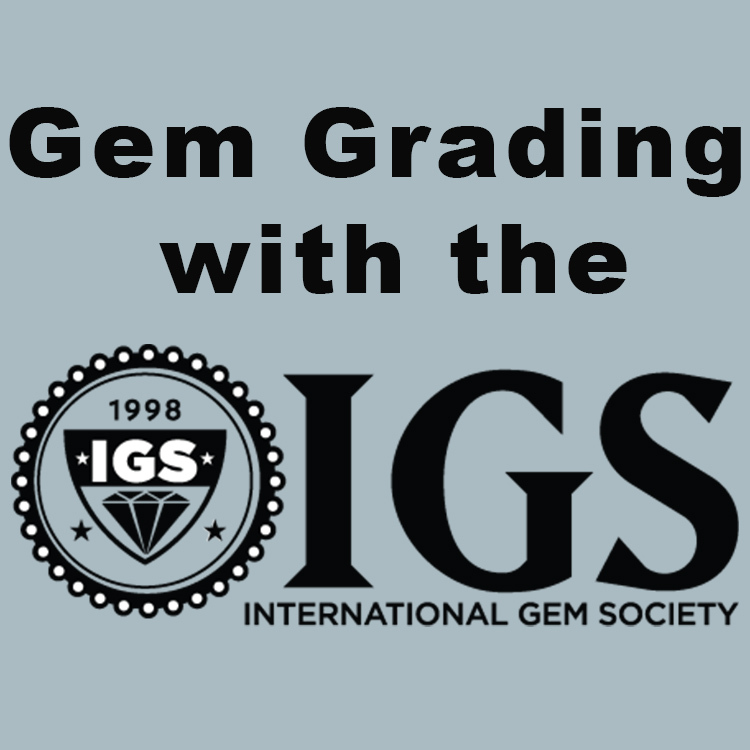 If you are a connoisseur of fine gems, the higher grades are significant. On the other hand, the average consumer will find just as much beauty in the more modestly priced stones. Remember, quality does not mean better, it means rarer. 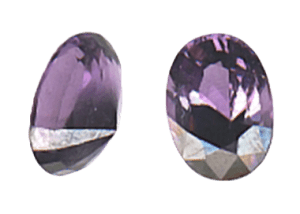 Gemstones contain a wide variety of “inclusions.” In a faceted gem, an inclusion is defined as anything that will interfere with the free passage of light. They can be little bits of minerals, hollow areas, or fractures. As with color, tiny differences which are only apparent to the grader have a significant affect on value. The best examples of this are diamonds. There are several grades where the inclusions are invisible to the naked eye and have no affect on the beauty of the stone. Yet the difference in value, between something that is very difficult for an expert to find with 10 power magnification and something that is easy to find with magnification, is substantial. If you want a larger emerald, you will have to accept a certain amount of inclusions and find its value in the color. Emeralds fall into the last category. Their clarity cannot be compared with other gems. 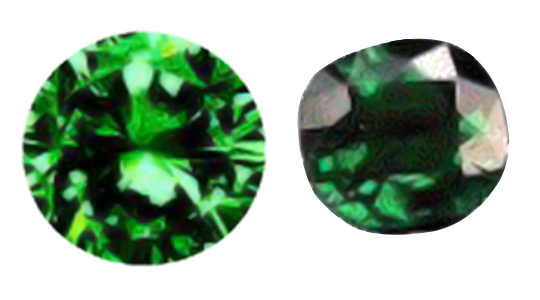 If you want an emerald without any eye visible inclusions, you are limited to small stones. 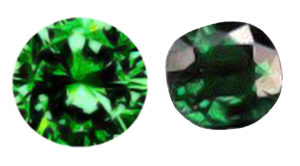 If you want a larger emerald, you will have to accept a certain amount of inclusions and find its value in the color. If this does not appeal to you, then look at other green stones, like tourmaline and diopside. 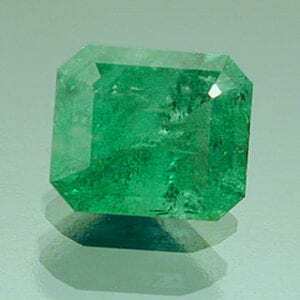 Their color can equal that of fine emeralds, without the inclusions, and at a much lower price. Now your choice is between having the name “emerald” or the premium color. Black inclusions disappear in Garnet. You will find just slightly visible inclusions in colored stones as well. Even some stones that are moderately included, like dark garnets, will look fine from the distance jewelry is usually viewed from. It is up to your personality to determine if it is going to affect the joy you get from the stone. While beauty is in the eye of the beholder, you need to pay special attention to fractures and veils. 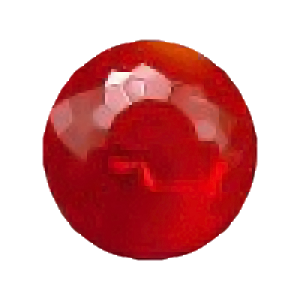 They represent a weakness in the gem and are prone to breakage. Earrings, pendants and brooches do not receive much abuse, but ring stones are subjected to a constant onslaught of bumps and bangs. If you intend a gem for a ring stone, you should be particularly cautious of a weak gem. Finding these types of inclusions in a gem, and determining their affect on its integrity, is difficult for the lay person to do. 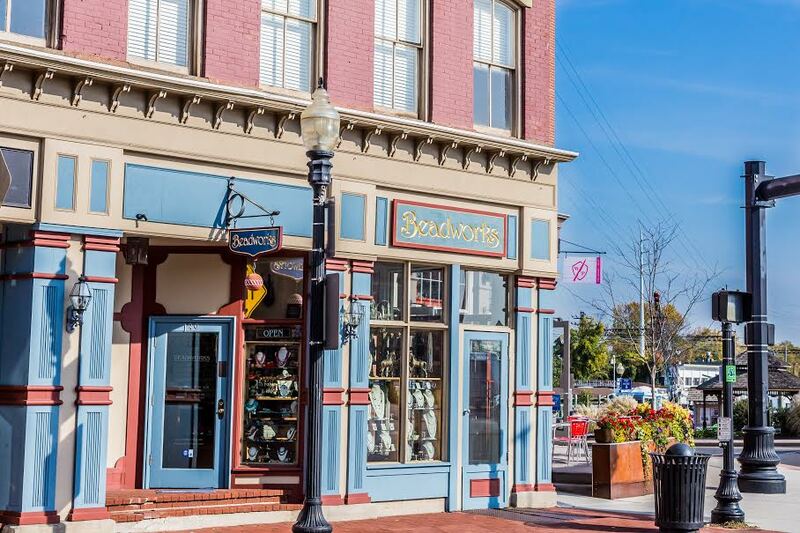 The old advice, “If you don’t know your gems, know your gemologist,” applies here. The cut of a gemstone, the workmanship that went into fashioning it, is one of the most important factors in its appearance. It is also one of the most difficult factors for the non-professional to judge because of the number of variations involved. The first thing to do is to look at the shape of the stone. Some gems are cut “freeform” but most are intended to be a regular shape. If so, look at the symmetry. Does it bulge here or there, or is it symmetrical in all directions. Look at the stone from the side and the ends. Again, it should be symmetrical in all directions. If not, it is up to you to determine how much it will affect your appreciation of the stone. When considering a gem, insist on inspecting it with magnification. Look at areas where light is being reflected from the surface. They should be smooth and mirror like. If you see pitting, scratches, or dull areas, the gem is not well polished. It may look good in the store, but someday you will compare it with a well polished gem and be disappointed with your purchase. If it is a faceted gem, look at the facets junctions also. On a well cut stone, they will be crisp and come together in a single point. You may see facets that are slightly rounded and not quite meeting where they should. Just how far off they are will affect the brilliance of the gem. The other factors in a faceted gem are too complex for the lay-person. However, you can get a good idea of the cutting quality simply by comparing it with other gems. When you do this, make sure you are comparing similar stones. 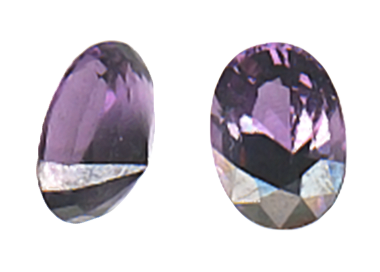 An amethyst will never have the brilliance of a topaz and dark stones will not be as bright as light colored ones. Large window (top) vs. small window (bottom). When comparing like stones, what you want to look for is the overall light return, the brilliance and sparkle of the gem. It is entirely possible to look at two gems with the same size and coloring, but one having much more brilliance and sparkle than the other. This is the result of cutting. One thing to pay special attention to is “windowing.” That is where light passes straight through the center, rather than being reflected back. It is easy to spot; the center will be much lighter than the outside of the gem and have no flashes of light. Some windows are small; others are quite large and hideous. Simply put, larger stones are less common than small ones. Hence, they demand a higher price per carat. For example, a quarter-carat topaz may cost $60 per carat, or $15. A half-carat topaz, (with the same color, clarity and cutting grades,) might cost $100 per carat, or $50. A full carat topaz would cost $200. Choosing the right size is a personal matter. For the bold, dynamic individual, a large gem mirrors their personality. On the other hand, small stones are better suited to someone with delicate and feminine tastes. Most people will fall in between these two extremes. When budget is a strong factor, smaller stones have a significant advantage. Not only do they cost less per weight, the amount of gem you see is disproportionate to their size. The reason is that volume goes up faster than the outside dimensions. For example, a half carat, round diamond measures 5 mm in diameter, a ¾ carat diamond 6 mm, and a full carat 6.5 mm. From a casual observation, the half and ¾ carat stones, or the ¾ and full carat stones look to be about the same size, but the price difference can be considerable. Small gems are often clustered to give the illusion of more gemstone. Seven 1.6 mm diamonds, set close together, will take up as much space as a whole carat diamond. If set on white gold, it is hard to distinguish the separate stones, hence these are often called “illusion settings”. While these seven stones approach the eye appeal of a one carat diamond, they only weigh .14 carats. 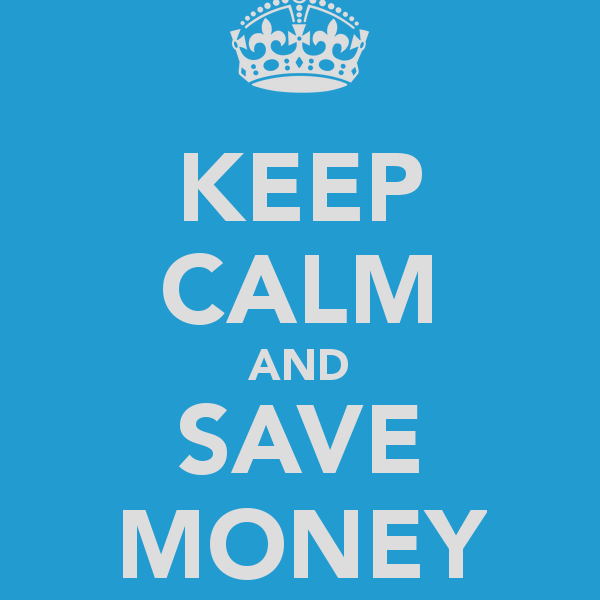 Considering that the price per carat is also much lower, the cost difference is significant. A cluster ring would be in the hundreds of dollars, rather than the thousands. 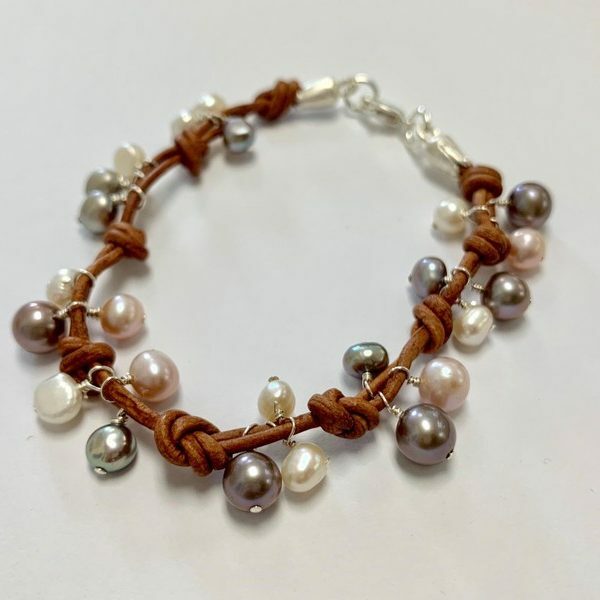 Bead Weaving – What Is It?